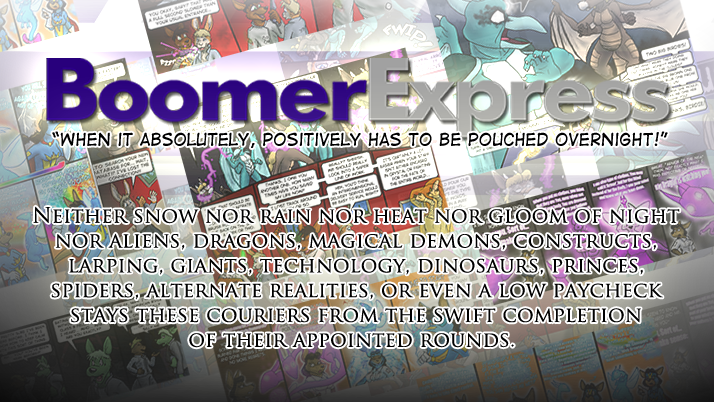 I've been teaching myself to draw mainly through the use of comics, and have developed quite a story since I started Boomer Express in May of 2002. Since then, my art has progressed visibly through storyboarding, dialogue, plot development, and all of the essential skills that it takes to be a successful cartoonist. I'm updating the strip more frequently now and would invite you to take a look!